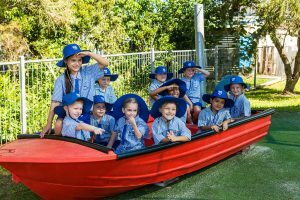 A Catholic education is a holistic one that seeks to develop the ‘whole child’, not only academically, but also physically, culturally, socially and emotionally. 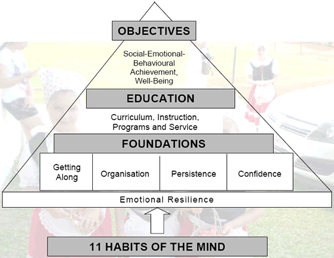 The foundations of Social and Emotional Learning are the keys to wellbeing and are essential for success in school, home life, work and the world of tomorrow. Social and Emotional Learning is developed through the “You Can Do It!” program to help foster better social and emotional intelligence and is integrated into all areas of the curriculum. ‘You Can Do It!’ education known as ‘Program Achieve’ is used throughout the school to help build the foundations of Getting Along, Organisation, Persistence, and Confidence. It aims to increase achievement and emotional wellbeing. The ‘You Can Do It!’ Parent Program actively aims to help parents nurture and develop these foundations in their children. These rules encourage personal responsibility. The Social Emotional Learning program implemented throughout the school supports the Behaviour Management Plan as it teaches the skills associated with developing good patterns of behaviour.